Hello! 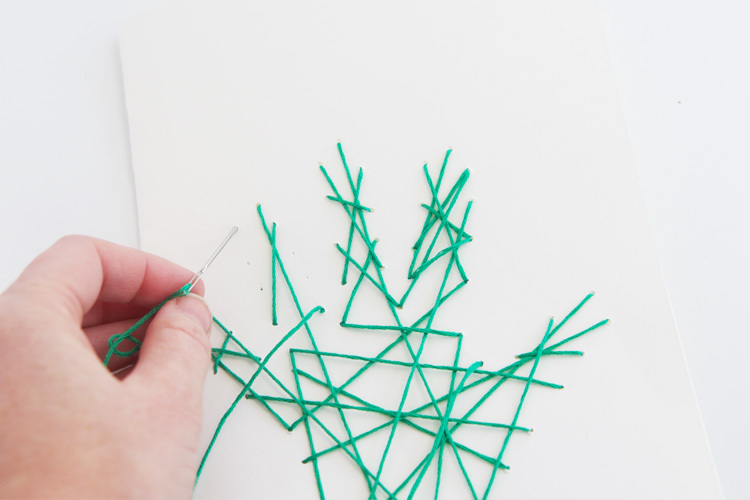 It’s Megan from Homemade Ginger again and I’m back to share a super easy DIY handprint string art card tutorial. 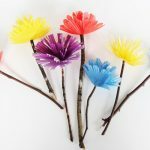 This is a great keepsake craft for Mother’s Day or Father’s Day! We have tons of spring birthdays in my family. Between cousins, aunts, uncles, grandmas as well as my immediate family, there are about a dozen birthdays in March and April! It is a lot to keep track of for sure. By the time Mother’s Day and Father’s Day rolls around, my gift-giving creativity is spent. I have completely run out of unique and special card or gift ideas. 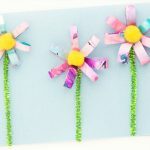 So, I’m always looking for keepsake crafts that the kids can get involved in creating, but that is cute enough for the recipient to want to display! 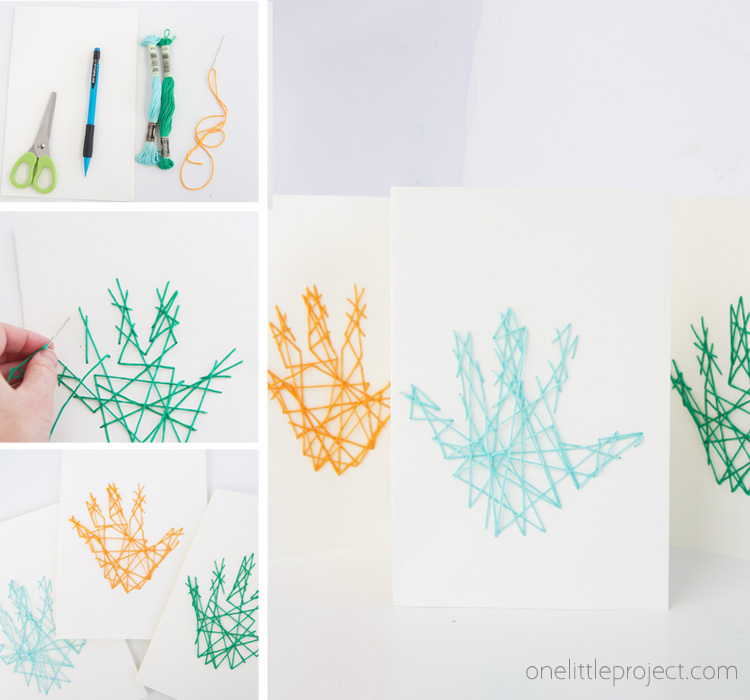 These handprint string art cards are so simple to make but are a great way to create a handprint craft that Grandpa can display. You can either make it into a card or stick it in a frame. 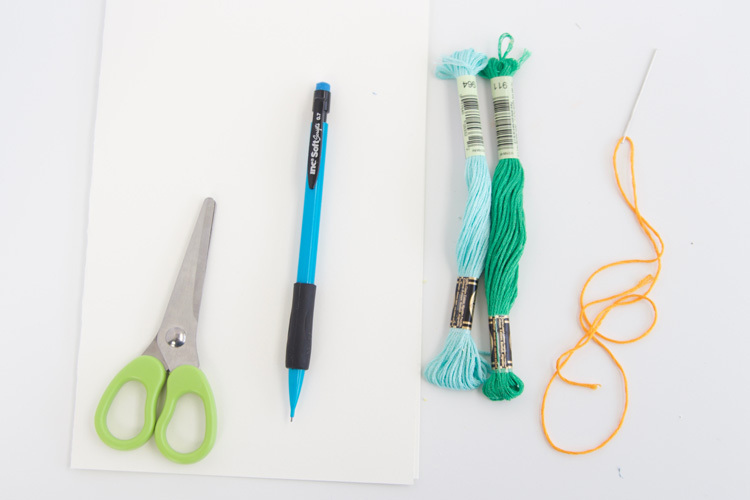 Kids can choose just one color of string or mix it up and do a rainbow of colors. It’s such a sweet way to preserve handprints of little ones and a unique twist on the typical Mother’s Day or Father’s Day card. 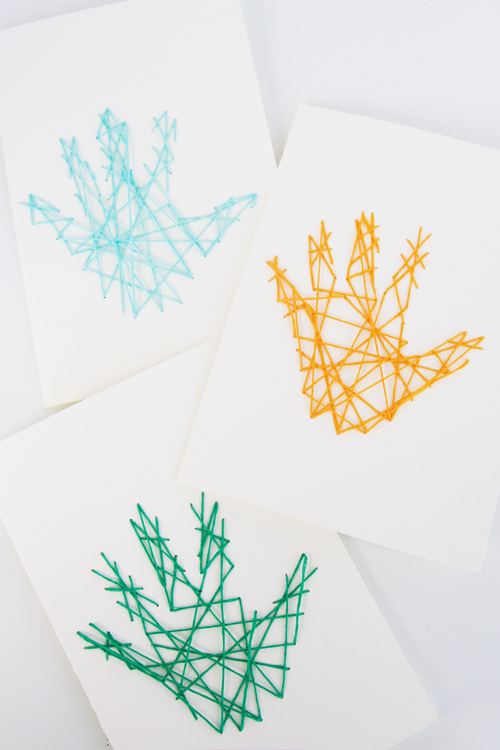 String art crafts and handprint crafts are so popular, so why not combine them to create these special handprint cards perfect for almost any occasion? You will probably have most – if not all – the materials needed to make these cute cards. 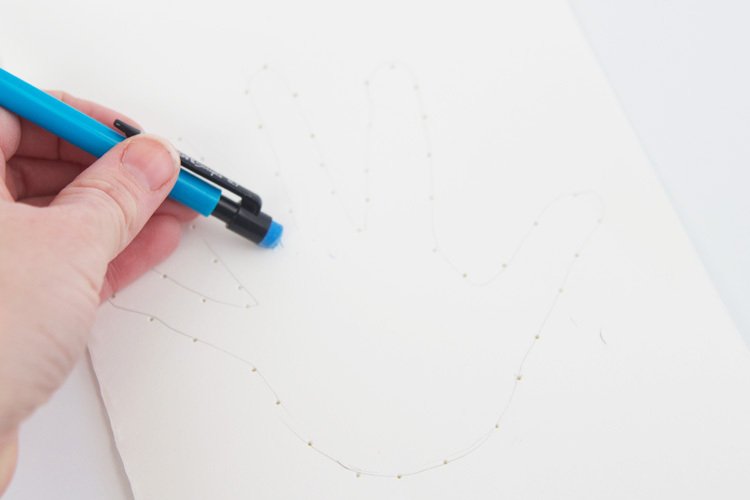 Begin by lightly tracing your child’s hand onto the card stock with a pencil. Using the needle, poke holes all around the hand outline. Make the holes about 1/4 inch apart. 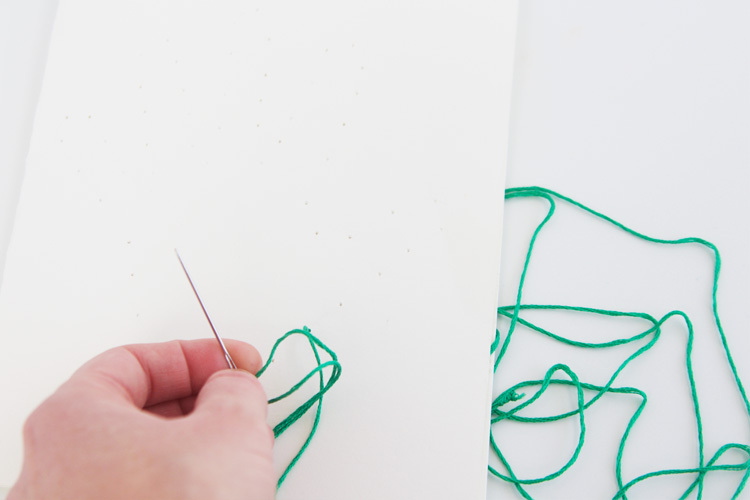 Next, thread the needle with the string and make a knot at the end. Starting from under the card stock, thread it through one of the holes. Keep threading the needle in and out of the holes that you created until a handprint starts to form. Fold the card stock to create a card or put it in a frame to display! 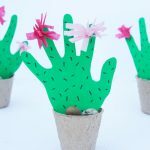 This is such a fun way to remember those tiny handprints! 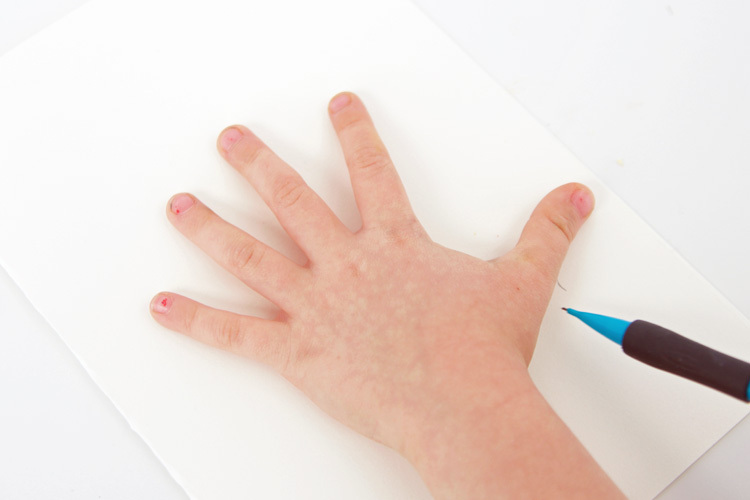 Begin by tracing your child's hand onto the card stock. 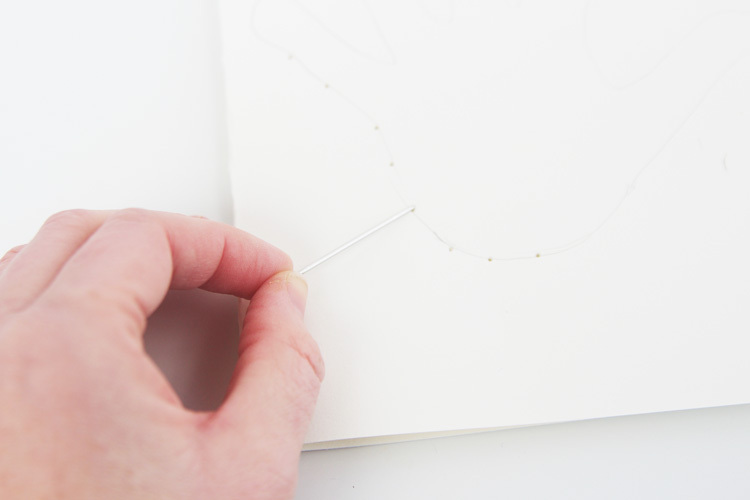 Poke holes all around the pencil outline with the needle. The holes need to be about ¼ inch apart. Thread the string through the needle and make a knot at the end. Starting from underneath, thread the needle through one of the holes. Keep threading the needle in and out of the holes until a handprint starts to form. 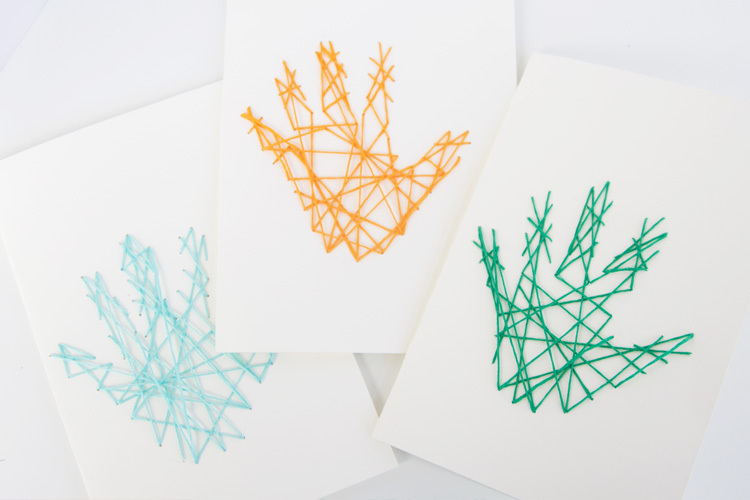 These handprint string art cards are so perfect for Mother’s Day or Father’s Day! 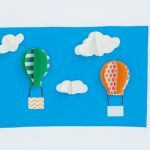 You will want to make this adorable keepsake craft this year!